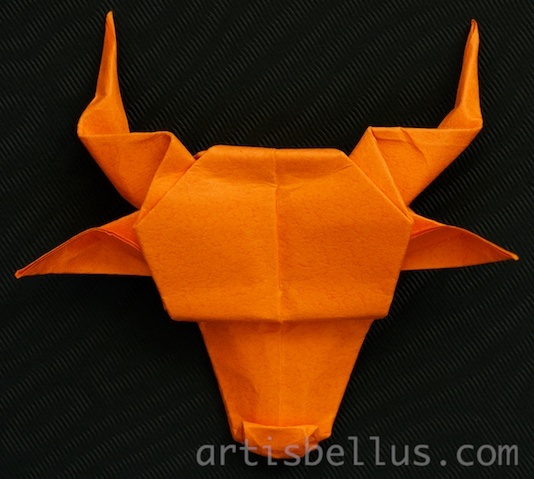 This longhorn is a beautiful model created by Akira Yoshizawa. 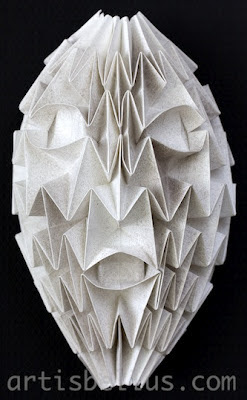 It's not very difficult to fold, but as many Yoshizawa's models, the most difficult step is the final shaping. I folded the longhorn with a 6" (150 mm) square of tant paper. 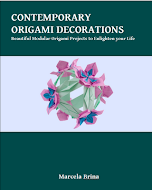 The instructions for the model can be found in the book, Origami Full of Life, ISBN 4916096312. This morning the aisles in the supermarket were full of inviting, fragrant, sweet, deep red strawberries. 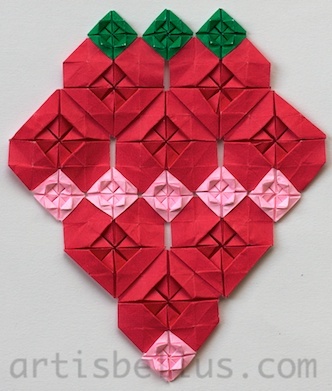 The strawberry quilt was folded with the same heart and flower modules that I used to fold the "Hearty" Butterfly. 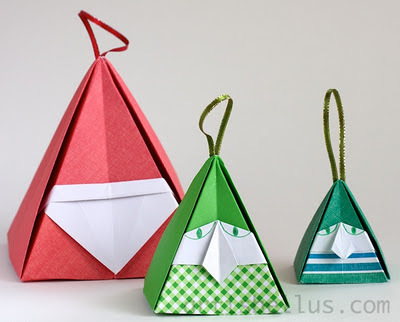 I used 4 ½"(112 mm) and 2 ¼"(56 mm) squares, that I cut to size from 9" (225 mm) Pacon Paper Squares . This card is dedicated to my son, who is about to graduate from High School. The gown is a variation of a traditional box, and the cap is a preliminary base. Inside the gown, there is a card with a message. The size of the gown is also appropriate to contain bills, and can be used as a money holder. Gown: Black Cardstock 10" x 12" (250 mm x 300 mm). 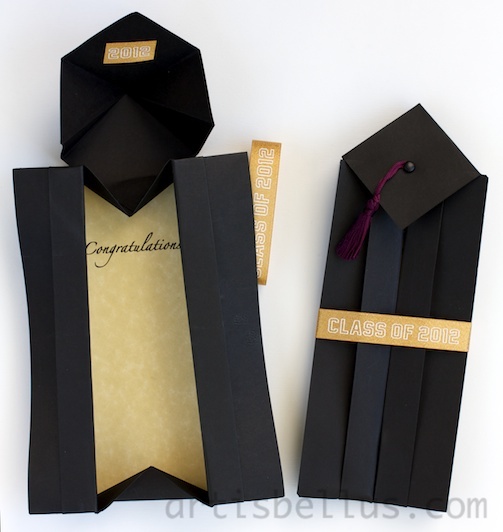 Cap: Black Cardstock 4" x 4" (100mm x 100 mm), small tassel, brad, small piece of ribbon or sticker. Card: Parchment paper 6 7/8" x 2 7/8" (172 mm x 72 mm). Decorated ribbon: approximately 10" (250 mm). Ruler, bone folder, pen, hole punch. Congratulations to all 2012 graduates! The mask was folded with a 12"square of white Strathmore Art Paper, decorated with Perfect Pearls Mists 2 Oz. Spray Bottle: Pewter .